It's the first place the nutrients that fuel the entire body come in, and it's the last place they go out. Naturopathic treatments aim to optimize gastric juice secretion in the stomach, support proper enzyme secretion from digestive organs, ensure proper nutrient absorption in the small intestine, and promote a healthy balance of flora in the colon. Furthermore, Dr. Holmberg always assesses the role of the enteric nervous system in the regularity of bowel function and stool formation. Therapies are used to successfully manage a number of the following conditions. A diagnosis of exclusion, irritable bowel syndrome is commonly diagnosed when all other conditions causing gas, bloating, constipation and diarrhea have been ruled out. 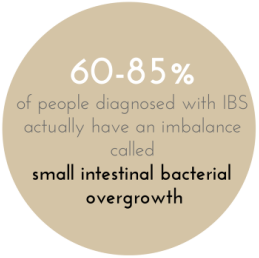 However, new research suggests a high percentage of bacterial overgrowth in the small intestine to be one of the primary causes of IBS like symptoms. 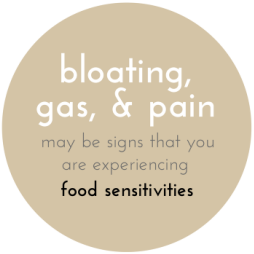 Sensitivities to foods are common, but often difficult to identify because symptoms can present up to 72 hours after the food has been eaten. Food allergy testing eliminates a lot of the guess work, providing streamlined and individualized information for the dietary restrictions needed to alleviate symptoms of gas, bloating, cramping, and so on. 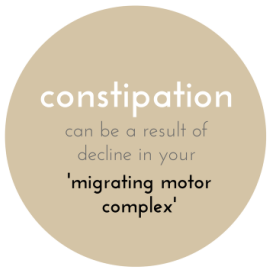 Irregularity in bowel function can be a results of intolerances to foods, a lack of fibre, a buildup of bad bacteria, or sluggishness in our 'migrating motor complex" (MMC). This MMC comes from our digestive system's very own nervous system, the enteric nervous system. A vast degree of factors can slow our MMC down, leading to infrequent bowel movements, and the symptoms that follow. Retraining of the MMC is possible via natural therapies. 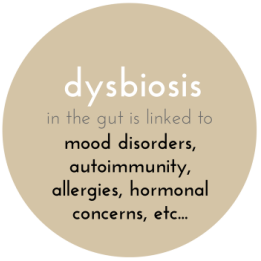 Dysbiosis is a term used to identify a poor balance in the commensal bacteria in our gut. A buildup of "bad" bacteria can reek havok on the body, leading to disruptions in hormones that cause alterations in mood, irregularities in immune function that cause allergies and autoimmunity, and reabsorption of excreted hormones causing acne, premenstrual issues, and weight gain.